One day, four families wake in their caravans to find that their campsite in Saludden, Sweden, has been emptied of life. All that remains is a boundless field and bright blue sky - but no sun in sight. Not knowing how they got there or how they might leave, they soon realise that something sinister is going on. The characters find themselves on a surreal, introspective journey as they search for answers. In a setting reminiscent of a Survivor-like reality television show, Lindqvist introduces his protagonists by having them gather to plan their next moves. Readers are kept on their toes with a good mix of drama and suspense, as the true nature of the environment unfolds. It is the study of the characters - eight adults, two children, a cat and a dog - as well as how they react to the strangeness they encounter that make the novel intriguing. Faced with apparent threats, each person's motivations come to light and his backstory unravels a little more as each takes turns narrating the series of events. But if anything, it is the characters' flaws and weaknesses that make them convincing and relatable, and their actions, justifiable. The story takes a dark turn when the adults start venturing away from the campsite to find out what lies beyond. When they return, they are unable, or unwilling, to recount what they see. Meanwhile, something strange is going on during playtime between the two children as they hang out together, away from their parents. At this point, it is easy to see why Lindqvist is dubbed the Swedish answer to Stephen King, with themes of memory and childhood trauma featuring strongly in both authors' works. But where some of King's writing may have seen the intrusion of supernatural phenomena in everyday situations, I Am Behind You does the opposite, giving its characters just the bare minimum to survive in a setting that is almost a caricature of regular life. The protagonists are quite literally removed from the real world and placed in a void, left to struggle with their own demons in a refreshing, if not mind-boggling, twist. Unfortunately, this is also where the novel comes up a little short. If readers are expecting to find a concrete explanation or reach a satisfactory conclusion to the premise they are presented with, neither seems to be made apparent in the novel. Similarly, the purpose of mysterious clues, such as the fact that radios function in the void, and that they play endless songs by Swedish lyricist Peter Himmelstrand, remain just that - mysteries. 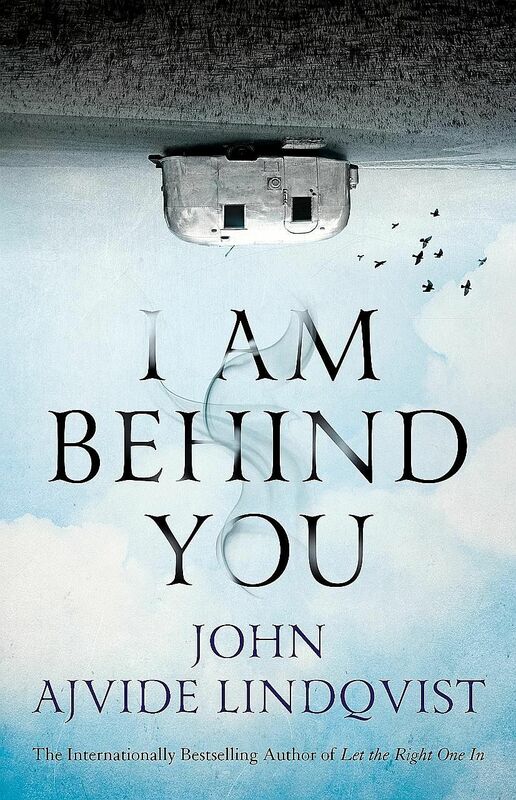 But for those who enjoy a puzzling, haunting tale featuring the human condition in all its anger and beauty, I Am Behind You does not disappoint. If you like this, read: Hannah Green And Her Unfeasibly Mundane Existence by Michael Marshall Smith (Harpercollins Publishers, 2017, $26.32, Books Kinokuniya), about a young girl who discovers that her grandfather has been friends with the devil for the past 150 years.